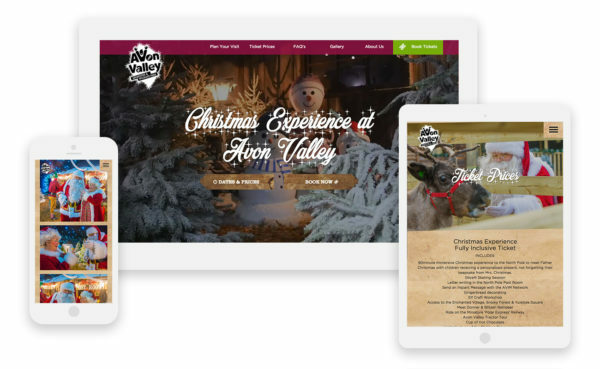 Following the success of the website we designed for Avon Valley Adventure & Wildlife Park earlier this year, we were asked to create a new microsite in time for their approaching festive season. Avon Valley Adventure & Wildlife Park is an all-weather tourist attraction based between Bristol and Bath. The park features a large adventure playground, an indoor play barn and a nature trail walk. There are lots of daily activities, including animal handling sessions, farm rides and train rides. During the Christmas season (beginning of November to the end of December) the park offers a number of additional festive options, including Journey to the North Pole, Meet the Reindeer and a Tea Party with Father Christmas. Avon Valley wanted to focus their efforts on promoting the park as the premier Christmas attraction in the Bristol and Bath area. They identified the need for a microsite dedicated to The Christmas Experience, which would be central to their marketing activity. The brief was to create a festive, appealing and informative microsite, in line with the design of the main Avon Valley website. Marketing materials could then focus on driving visitors directly to the microsite, with the aim of increasing visitor numbers during the festive season. 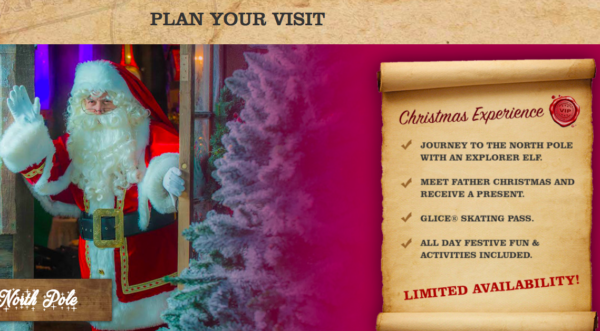 The new microsite showcases all of Avon Valley’s Christmas activities in a fun, helpful and enticing way. Festive pictures and graphics draw potential customers into the site, and each different activity is clearly described on individual pages. Users can easily plan their visit to Avon Valley. A ‘book now’ button takes visitors to the main Avon Valley website and its highly user-friendly booking system. The website has been built in WordPress and is designed to be fully responsive; this is an important consideration, with around two thirds of Avon Valley’s main website visitors using mobile devices. 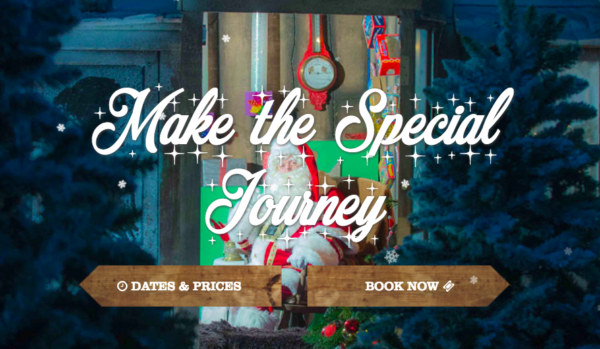 The Christmas Experience microsite provides a very effective focus for Avon Valley’s festive marketing campaign, enabling them to reach more potential visitors and drive them directly to the key information that they need.